Knowledge circulation and the entrepreneurial university have become essential to the functioning of regional innovation systems. What does this mean for the three core tasks of universities – teaching, doing scientific research, and making a societal contribution? How can the changing of these tasks be analyzed in the context of the role of the entrepreneurial university in knowledge circulation? Which challenges does a sharpened focus on knowledge circulation entail for the entrepreneurial university and which issues should be on the top of the agenda of the boards of universities and policy makers to stimulate knowledge circulation? This chapter discusses the role of entrepreneurial universities in processes of knowledge circulation and sketches the contours of an agenda to actively stimulate processes of knowledge circulation at entrepreneurial universities. Many universities developed a new institutional identity as “entrepreneurial universities” in the last thirty to forty years. Based upon a combination of internal, societal and governmental pressures, they left the ivory tower of the traditional ‘mode 1’ universities and became more connected to their social and economic environment by transforming themselves into ‘mode 2’ universities (Etzkowitz, 2003a). In a way this was a necessity: following many other societal organizations and sectors, universities had to become less dependent on the steady financial support of the state and needed to start to rely more on the directions of the market. Although the concept of the ‘entrepreneurial university’ is widely accepted, it has not always been clearly understood (Rae, Martin, Antcliff, & Hannon, 2012). The doubt has remained as to what roles of entrepreneurial universities are playing in knowledge circulation and how they have fulfilled the traditional missions of teaching and research to encompass the entrepreneurial role in order to fully realize their potentials for socio-economic development in the global knowledge-based society. Universities took on a more entrepreneurial role within the innovation system of the region and the country. To become an entrepreneurial university is a deliberate choice in order to cope with the changes in society. Society challenges universities not only to become more entrepreneurial, but also act as an entrepreneur. Both trends result in the adaptation of the identity of a university and become an actor in regional and/or national innovation system. To understand how they cope with requirements that come with this role, the concept and the dynamic of “knowledge circulation” is presented. ‘Knowledge circulation’ as described by Van der Sijde and Slotman (2004) is the circulation of knowledge between organizations, amongst which a university. The central topic in this contribution is the following: If knowledge circulation and the university in its role of entrepreneur therein have indeed become core to the functioning of regional innovation systems, what does that mean then for the three core tasks of universities– teaching, doing scientific research and making a societal contribution? How can the changing of these tasks be analyzed in the context of their role in knowledge circulation? 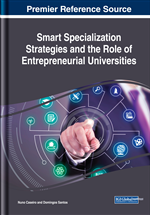 What challenges do these changing formulations of their core tasks entail to the entrepreneurial university and which issues should be on the top of the agenda of the boards of universities, policy makers and private companies? This paper thus sheds light on the role of entrepreneurial universities in knowledge circulation and its reflection in the way they define their three core tasks. In the first part of the paper an overview of the changes in the three core tasks of universities is presented. Then, an understanding of innovation processes is presented, alongside a conceptual understanding of what is happening in this organizational space for innovation. Then, the changes in the three tasks of the university due to its need to become more entrepreneurial, are discussed in the light of processes of knowledge circulation. Based on this overview, six levels of knowledge circulation are distinguished - in which level one is the least intensive way of knowledge circulation, whereas on the sixth level, knowledge circulation is optimized. Some challenges are pointed at that play a role in entering a next level of knowledge circulation. The conclusion highlights the main results of this paper and sketches the contours of an agenda to actively stimulate processes of knowledge circulation at entrepreneurial universities. The paper thus helps to create an agenda for actors within these regional innovation systems – universities, governments and private companies to optimally facilitate processes of knowledge circulation.